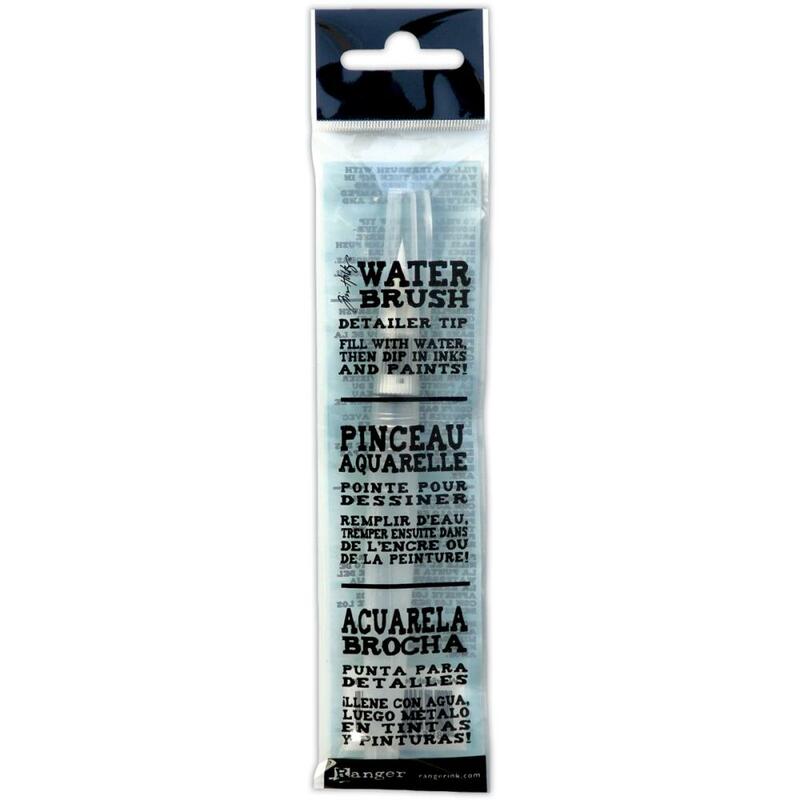 RANGER-Tim Holtz Water Brush. This brush allows you to shade and highlight stamped images to give them a beautiful watercolor effect. Simply fill the easy-squeeze reservoir with water then 'paint' any water-based ink, dye, or paint. 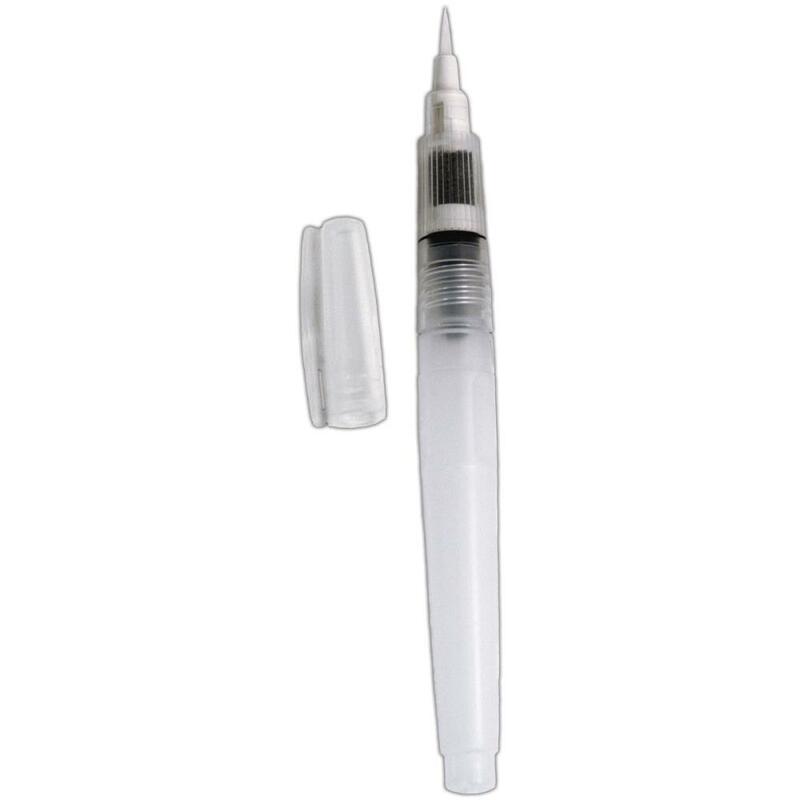 Each brush has a fine-tip brush nib that is ideal for detailing and includes a protective cap. The overall length of the brush is 6 inches (with cap). This package contains one water brush. Imported.